Meet your new Spooky Son. If you like fun movies and you can only see one this weekend, here's your best bet. The first LEGO Movie was genuinely awesome. If the sequel is even half as fun and creative as the original, then it'll be well worth watching. 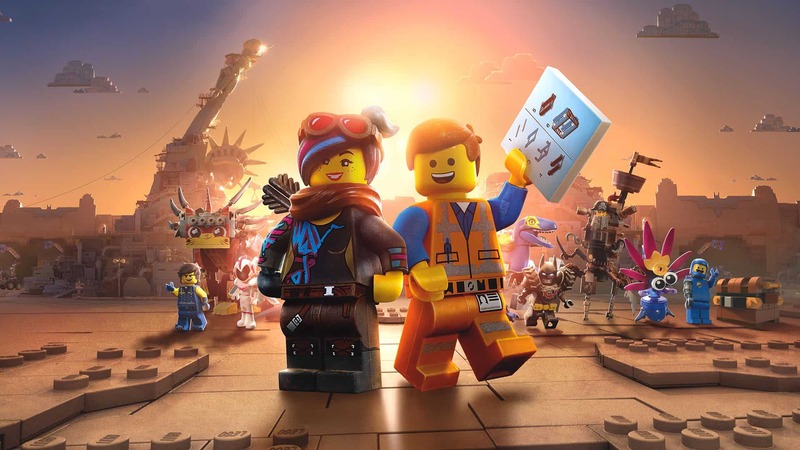 All your favorite LEGOs return, including Emmett (Chris Pratt), Wyldstyle (Elizabeth Banks), and Batman (Will Arnett). Chris Pratt also voices a new character, Rex Dangervest, who seems to be a LEGO-ized conglomeration of all Chris Pratt's previous action hero roles. Stop me if you've heard this one. Liam Neeson is a nice, normal guy―a family man―until a bad guy hurts a person he loves. Now he needs to use a very specific set of skills to kill a bunch of people. No, this isn't real life, and it's not Taken either. This is Cold Pursuit, and Liam Neeson has a snow plow. So if you've liked every other movie Liam Neeson has ever been in, and you're not currently boycotting him, you'll probably like this one too. The latest entry into the "Spooky Boy" genre of horror films, The Prodigy asks the age old question: "What do I do if my son is a Spooky Boy?" This kid has it all - an angelic face, an unusually high IQ, a metronome ticker fashioned into a shiv. Will his mom be able to stop him before he engages in some Spooky Boy shenanigans? Does anyone care? A reimagining of the 2000 Mel Gibson vehicle What Women Want, this version finds Taraji P. Henson cursed with the power to hear Tracy Morgan's thoughts. She can hear other men's thoughts too, but Tracy Morgan seems like a particularly painful person to have around in this scenario. Most of his thoughts are probably things like, "Butts! HAHAHA." I don't know why anyone would willingly subject themselves to that, but if the inner-workings of Tracy Morgan's mind sounds appealing to you, I guess you can see this movie. A movie titled The Man Who Killed Hitler and Then The Bigfoot carries some serious expectations. Blood, guts, action, Hitler, "The Bigfoot." Except...The Man Who Killed Hitler and Then The Bigfoot actually looks pretty serious. Or at the very least, way more serious than the title would suggest. Academy Award nominee Sam Elliot stars as the titular man who killed Hitler and then the Bigfoot. I'm very confused by the contrast between title and tone, but early reviews seem mostly positive, so this might be the weekend's dark horse for best watch.